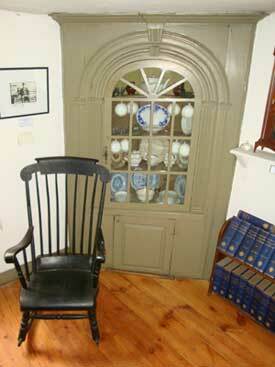 The parlor was a special room where important visitors were welcome but the family wasn't. The Colby family's finest possessions would be showcased in the parlor. 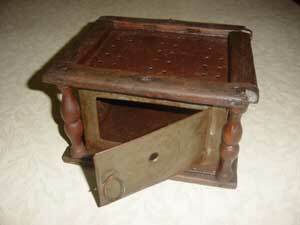 When a family member died, his or her wake would be held in this room. 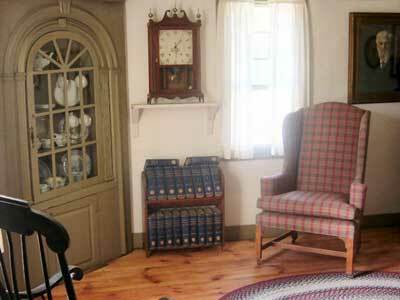 And many a nervous, prospective son-in-law probably pleaded for the hand of a Colby's daughter in this room. 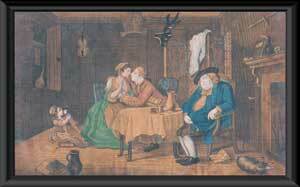 A lithograph entitled, The Quiet Husband, has purportedly been displayed in the Colby parlor for over 250 years. In the picture, the older husband has fallen asleep over a book of sermons entitled, the Duty of Watchfulness, while a handsome soldier can be seen having a dalliance with the younger wife of the sleeping husband.